ATX Computer cases, computer carry cases, accessories and ATX power supplies galore. Over 50 case models to choose from all at the very best prices. The Rolling Multimedia 22 Backpack can be carried on your back like a book bag or pulled along side at your side as wheeled luggage. 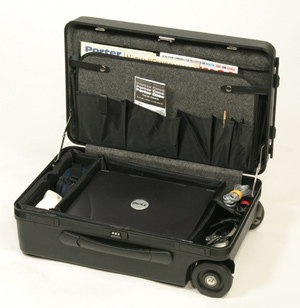 The main compartment is a padded configurable divider case that can hold a variety of different types of multimedia equipment including camera gear, digital projector, video camera, printer, and even your X-box or small form factor gaming computer. is engineered as a hard sided wheeled carry-on that easily rolls down the aisle of an airplane and will fit under most seats and/or overhead compartments. Protect your most important and delicate valuables by rolling them on board. 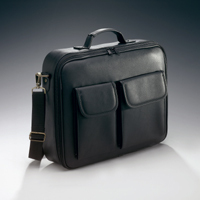 Designed as a rolling mobile office carry on case. 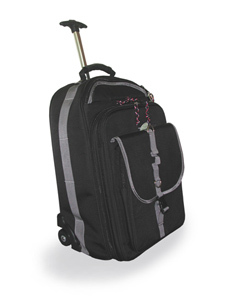 It has semi-rigid, padded denier walls with six inline skate wheels (3per side) spaced 16.5" wide, a 41" extension handle, padded shoulder strap, #10 zippers, with a soft feel top carrying handle. 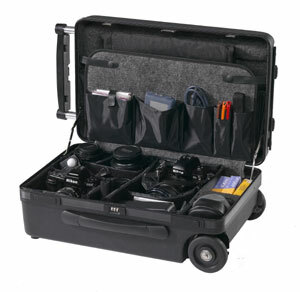 Designed to fit inside the larger PC II Porter Case II wheeled carryon, or it can be attached to the outside with the Hook/Accessory Strap. A padded shoulder strap is included. The Soft Computer Bag is the ideal solution for those times when you don't want to roll your Porter Case. 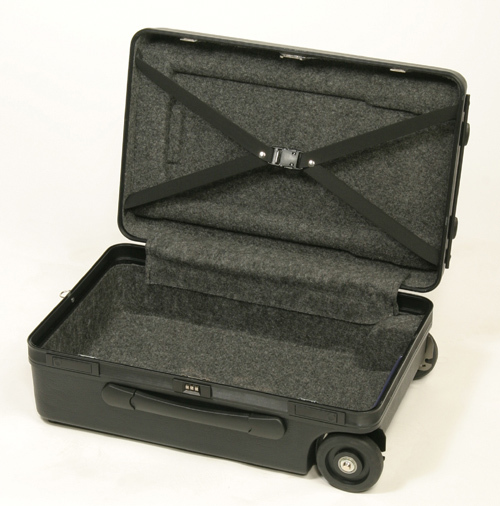 Use the hard-side Porter Case to help transport and protect your soft case. 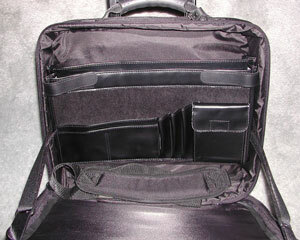 Then, when you get to your destination it is ready to pull out of your Porter Case and slip over your shoulder. You arrive refreshed and ready for that important meeting.